Deliciously designed spaces to inspire your own. One of the rooms that typically gets the function-over-form treatment (especially for renters) is the kitchen. But when you’re a celeb, your kitchen is often the heart of your home—a breathtaking space that could entertain a party of famous pals one moment, and serve as a place to prep kids’ lunches the next. With no expenses spared, celebrity kitchens set life goal after life goal, starting with these gorgeous spaces we’ll be lusting over indefinitely. First up, Hayden Panettiere‘s heavenly kitchen is exactly what we’d expect a growing celeb family to come home to. The expansive space is laid out to be the heart of the home, perfect for entertaining and keeping up with the daily functions of the family. Chrissy Teigen and John Legend recently moved back to NYC… and right back into their old building, too. And while their stunning new space has several perks, a main one has to be this state-of-the-art kitchen. Custom dark oak cabinetry and hand-oxidized brass upper cabinets make the perfect backdrop for what we’re sure will be several of Teigen’s culinary adventures—maybe a recipe from her Blue Apron partnership? This ultra chic yet surprisingly pared back (okay, by celeb standards) kitchen belongs to Emily Ratajkowski’s new home. 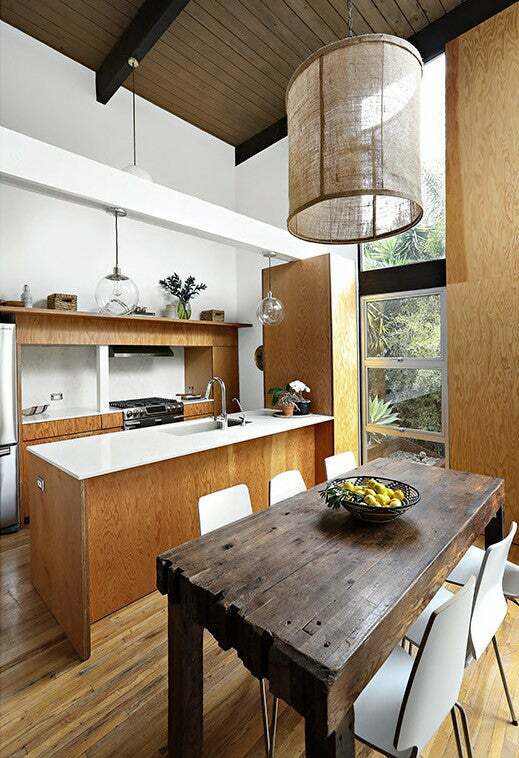 The mid-century gem is located in the heart of Los Angeles, and is replete with rustic charm and casual elegance. And while we’re sure the model (who has quite the penchant for art and design, it turns out) will be making plenty of changes to the space, this breezy open concept kitchen is one we hope she’ll keep as is. We stalked Mandy Moore’s home renovation via the actress’s Instagram for so long, by the time it was finally revealed, we were maybe as fully invested in the kitchen transformation as she was. The sleek, marble-filled new space is such a drastic departure from the previously dated room, it gives us hope for all future extensive home renovation projects. It’s no surprise that a kitchen this gorgeous is a celebrity favorite: Before Dr. Dre bought it, it was owned by none other than Tom Brady and Giselle Bundchen. The homey-looking room mixes a country motif with European design. Taylor Swift has built a rep for herself as quite the baking aficionado, so it goes without saying that her kitchen would be incredible. Her Tribeca loft’s full chef’s kitchen is absolute perfection, from the marble-topped island to the exposed wood ceiling beams. We predict many delicious desserts will be made (and Instagrammed) in this space. Christina Applegate shared her before and after kitchen makeover with us, and the change was truly spectacular. The finished space is much more functional, and the bright white surfaces make it feel so open. Chloe Sevigny‘s kitchen is as cool as she is, with a statement-making backsplash and a smart combination of both cabinets and open shelving If you’re currently thinking about making over your cabinets, take a cue or two from Chloe. Ashley Olsen’s new Manhattan home boasts a beautiful, modern kitchen, and the combination of a softly colored wood paneling and subway tile is unexpected, yet elegant. Think this space is cool? You should just see the bathroom. This story was originally published on April 22, 2017. It has been updated with new information.